The signs were all there. 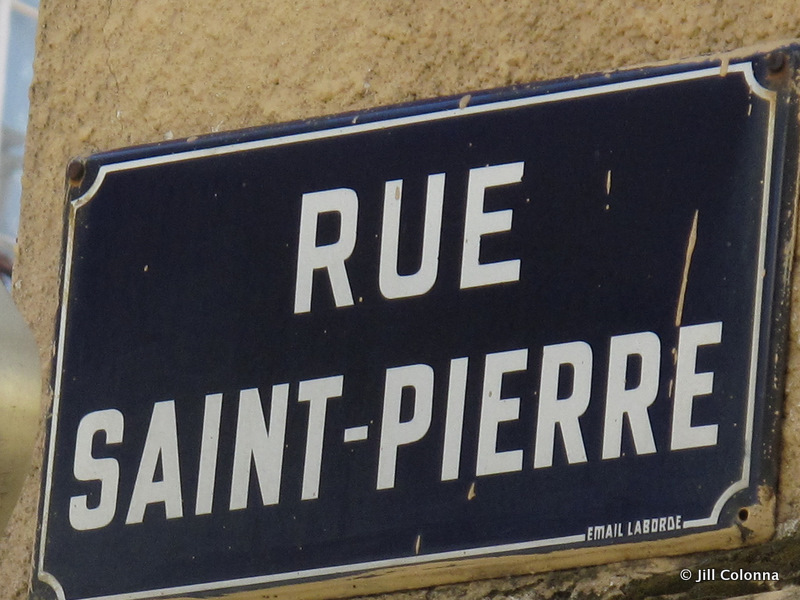 First this one, rue St Pierre – or St Peter’s Street- looked down on me as my keys dropped to the ground. Was I heading for the Pearly Gates to say b-b-b-onjour? Thankfully to my relief, the sign appeared again a few minutes’ later at the local market in St Germain-en-Laye. 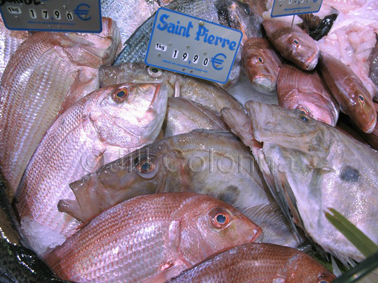 Saint Pierre – or John Dory – was laid out beautifully chez le poissonier. 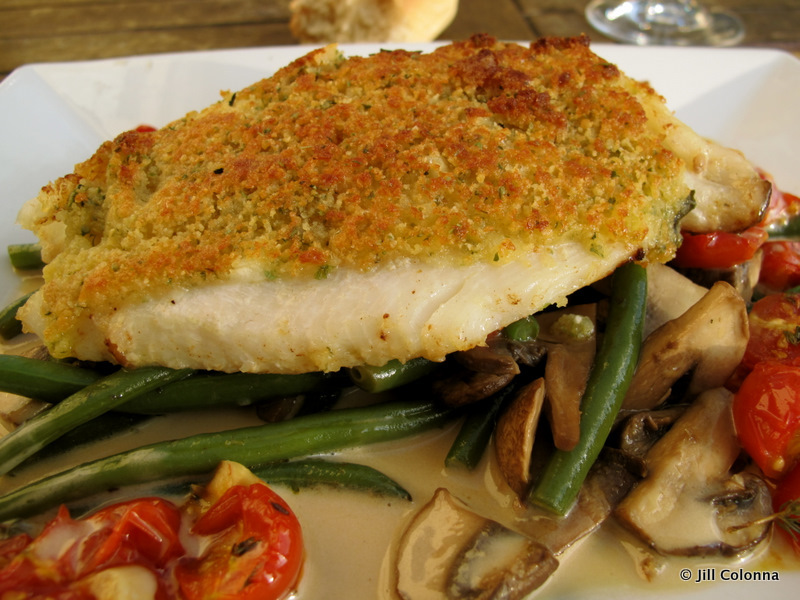 Taking it as the real sign, it was high time to do something with this gorgeously thick fish fillet. I couldn’t just fry it and shove it on a plate with lemon and parsley. No. This was for Alchemy in the Kitchen, so it needed some transformation with some simple ingredients, as Hester puts it so well. 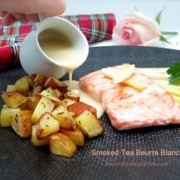 I found a French recipe by chef Vincent David but adapted it. The result? 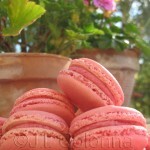 I’m making it again and again for my French guests. Sounds très posh? It’s so simple yet sophisticated and delicious. 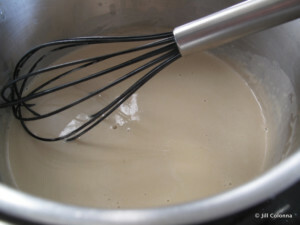 The topping is referred to as à la viennoise. 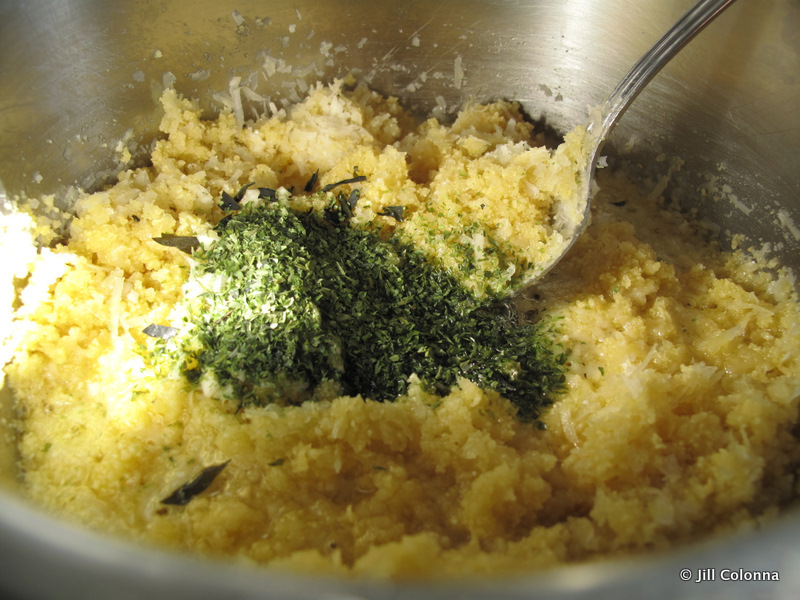 It’s when you coat it with breadcrumbs and fry it. 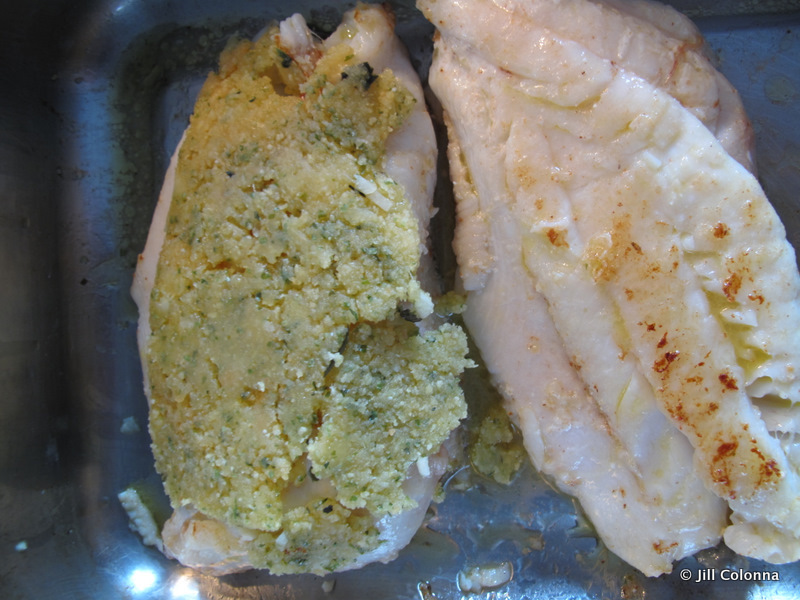 Here, the topping is added at the last minute and quickly finished off under the grill. Update: I’ve discovered the topping freezes well, especially as you’ll have some left over. Cut the topping into fillet portions and stack each slice between baking parchment and seal in a container in the freezer. Use just at the last minute when needed, grilling just a minute longer. It’s one less thing to worry about if you’re entertaining guests! 1. Melt the butter in a saucepan and mix in the breadcrumbs, parmesan and garlic. 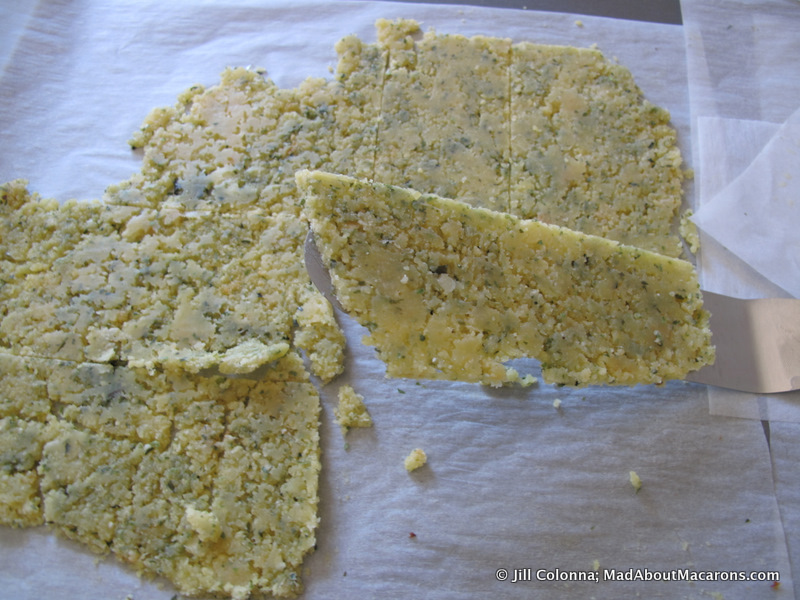 Here I added a tablespoon of dried seaweed (found in Asian supermarkets) but you can add freshly chopped herbs if you prefer. 2. 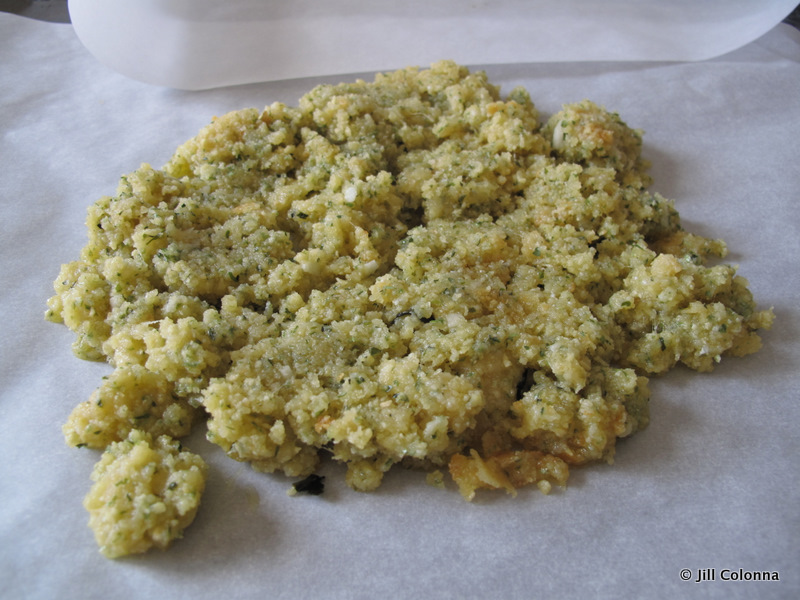 Spread the mixture out on to a baking sheet lined with baking parchment. 3. 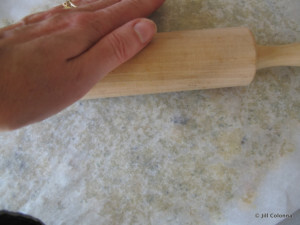 Top with another baking parchment sheet and roll it out until it’s flat and even (about 3mm thickness). Place in the fridge to set. 4. 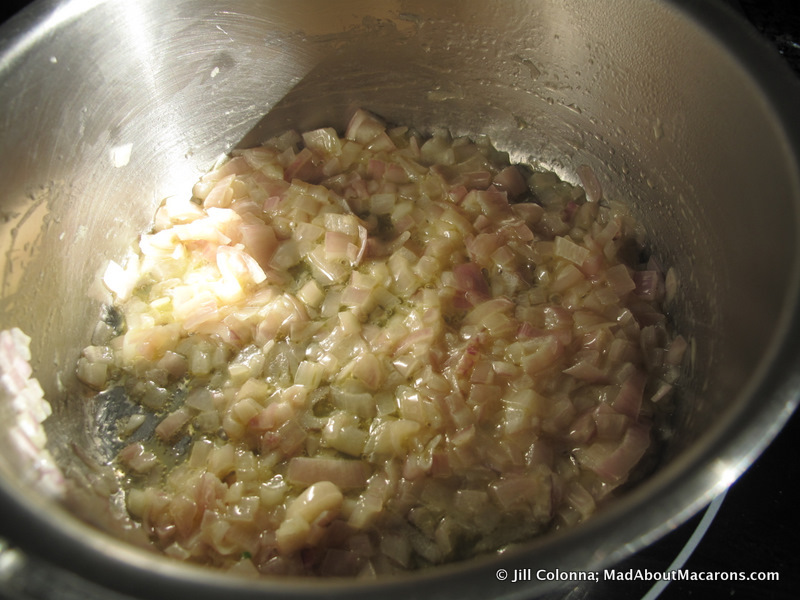 Using some of the butter, sweat the shallots for about 5 minutes until translucent (don’t brown). Add the wine and leave on a medium heat for about 10 minutes, until reduced by half. 5. 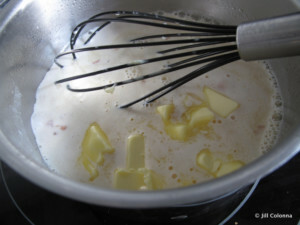 Add the cream and stir until boiling. 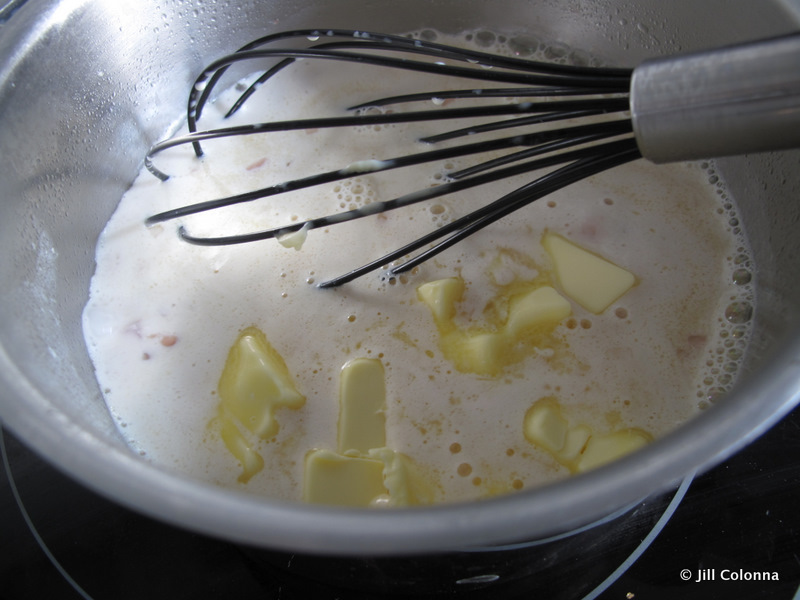 Take off the heat, whisk in the rest of the butter until it melts then add the teabag and leave the tea to infuse for about 10 minutes. 6. Meanwhile, prepare some vegetables of your choice. Here I cooked some green beans, added some fried mushrooms and sautéed them together with a touch of lemon juice. 7. 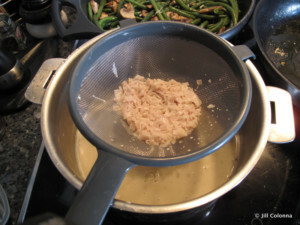 Filter the sauce into another saucepan and keep on a low heat. 8. Season the fish fillets and fry in some olive oil and butter gently until just cooked; no more than 5 minutes, depending on thickness. 9. The viennoise topping is now ready to cut. 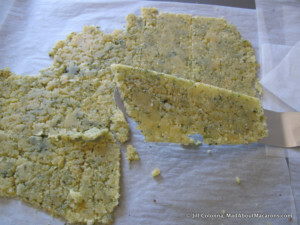 If you have any extra, cut them into portions, place each between the paper and freeze until needed. Place the fish in a roasting tin, layer the topping on top of it and melt it under the grill for a couple of minutes. 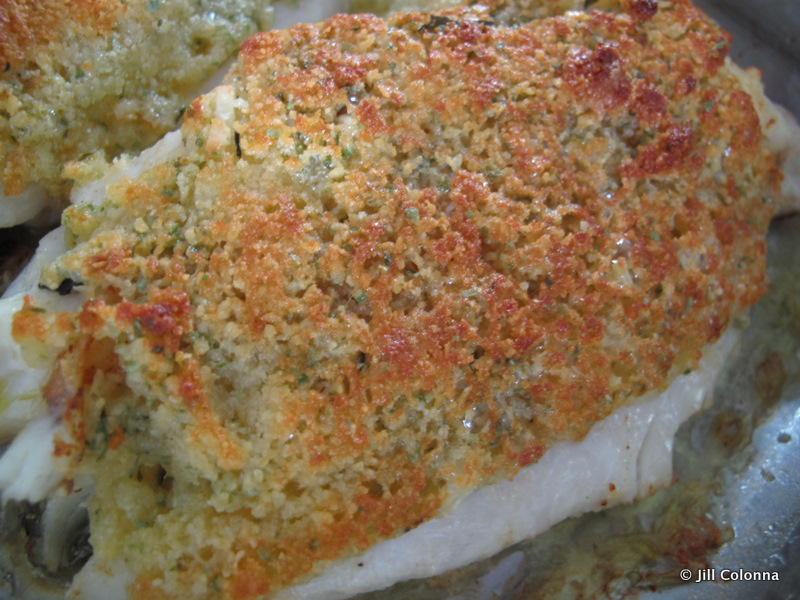 Just placing it under the grill gives a magical effect: the topping just hugs the fish like they were meant to be together. 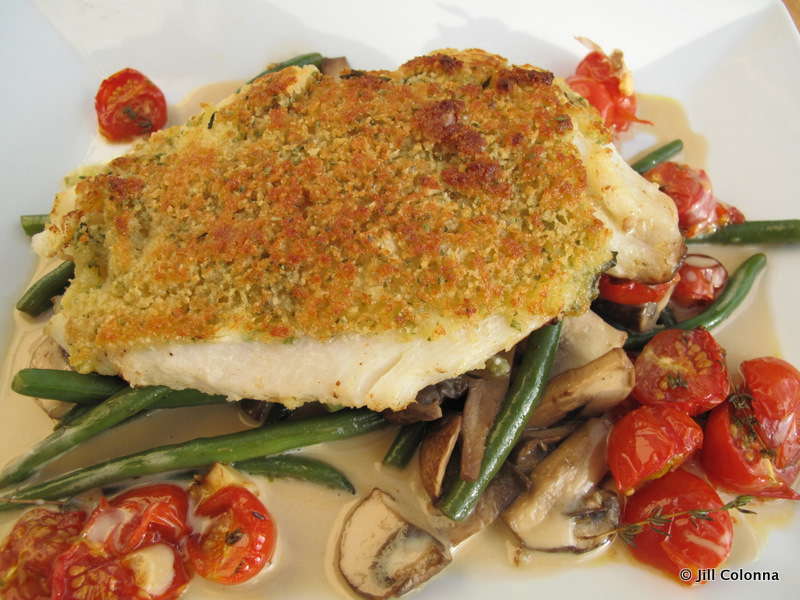 Serve on a bed of vegetables and surround with the sauce and enjoy with a chilled glass of white Burgundy. 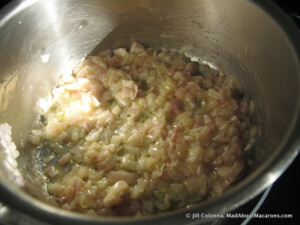 This recipe was published as a guest post over at Alchemy in the Kitchen. Hop on over to Hester’s blog if you would like to leave a comment. Hope you & yours are healthy & happy. I’ve never forgotten this recipe & vowed to use it when required. May be quite a few months (ahem years?) 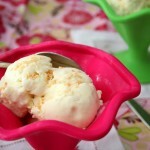 but I’ve returned to find it & to try it again as its an absolutely fabulous recipe. Thank you, I will let you know of our success, (ha if I achieve such perfection). 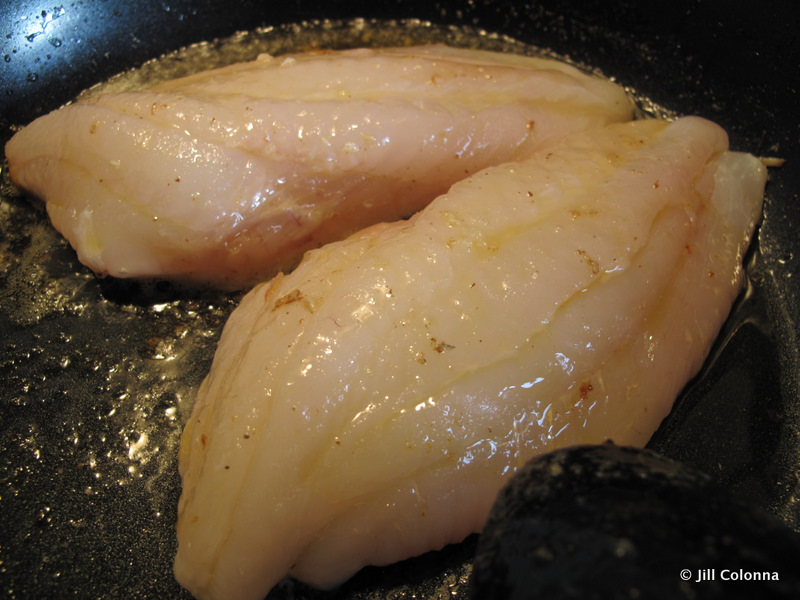 Adapting it to suit chunky white cod, (rare treat) served on bed of long runner green beans & red cabbage. Hope you & yours are well, maybe we can email in the new year & catch up sometime.